I was only 23 when I met him. It was my last semester at university, and I looked forward to a bright future. But then Alex came into my life. At first he was like a knight in shining armor, and then he became a devastating hurricane that left a broken shell of a human being in its wake. I still ask myself how I could have let somebody abuse me in so many ways; physical, emotional, psychological, and economical. Now that I know the signs of abuse, I realize he ticked all the boxes. How could I have loved someone so deeply that constantly lied, put me down, told me that I was nothing, that I would never achieve anything with my life, and no one except him would ever want me? Abusers are attracted to vulnerable people. I was bullied relentlessly at school, and when I met Alex I was at the stage in life that many bullying victims know very well; I felt I was fundamentally different, and undeserving of love. Watching the way he charmed anyone he met, I was drawn like a moth to a flame. He was instantly likable, everything I wished I was, because I was shy, nervous, and awkward. I felt so lucky that this amazing guy saw something special in me and loved me, when I didn’t really love myself. Then, when his behavior changed completely a few months later, going overnight from treating me like a princess to treating me like dirt, I was already hooked. I tried my hardest to please him, begging for his scraps of affection, desperate to somehow get back the man of my dreams. Within a few weeks, Alex asked me to move in with him. He told me that he adored me, and I adored him too, and wanted to please him. I didn’t know that moving in together quickly is a major red flag for narcissism and sociopathy. He didn’t like to use condoms, and I couldn’t say no to him. I never imagined I’d get pregnant so quickly. By the time I found out, he was already exploding with anger at me every day over the smallest things. But I’d always dreamed of becoming a mother, showering my children with love and affection, and raising them to be resilient, happy, and kind. Alex wanted me to have an abortion, but I told him I didn’t want to. At first the abuse became worse, but then, the man of my dreams was back, albeit only for one purpose. After a week of the most intense love and affection and all the words I dreamed a man would say to me, he asked me, again, to abort our baby…and then proposed to me. He said it wasn’t fair to bring our child into the world unless we could give it financial stability. I told him as long as we had a roof over our heads and the basics, that’s all we needed. But he insisted that we should have the abortion, wait a bit longer while working hard to save for our future family, and get married soon. I conceded, but Alex never saved a cent, refusing to eat at home and spending all his income at expensive restaurants. I had an abortion so that he’d never have to eat a sandwich. We never married, either, that was just a ploy. Yet, I somehow still believed that he did want to marry me. That if I just tried harder, one day we would have the happy family that I dreamed of. So I worked hard and saved hard, putting all my savings into a bank account in his name alone. He told me this was important because he would do a better job of managing our money and taking care of our family. Five years later I got pregnant again and I was thrilled. I had been waiting for so long, living on promises and dreams. But instead of the happy family I’d longed for, the lies and abuse only worsened. I was heartbroken. When our daughter was born and I saw her look up at me as if I was the universe, I finally realized I was worthy of love. I didn’t want her to grow up watching her father abuse her mother. I wanted to be able to show her that the world is a beautiful place, not a place of fear. So now I’m raising her alone. It took eight long years before I finally came to terms with the truth: the man who adored me never existed. It was a mask worn by a sociopath, and the pleas of “I love you, I’ll change” when I was halfway out the door were merely a psychological trap; empty words designed to keep me, and said by somebody who didn’t care about my happiness, no matter how heartfelt they sounded. Over those years Alex stole over $100,000 from me, which I’m still battling in court to get it back. Because of this my daughter will likely grow up in the poverty that her dad supposedly never wanted for his child. But I was right, all you really need is a roof over your head and enough to eat to be a happy family, and a happy family we are. Especially since he’s not a part of it. Many domestic violence victims don’t know what their rights are in a relationship, or even what a respectful relationship looks like. If you suspect that your unhappiness in your relationship is due to abuse, familiarize yourself with the cycle of abuse, and the power and control wheel. 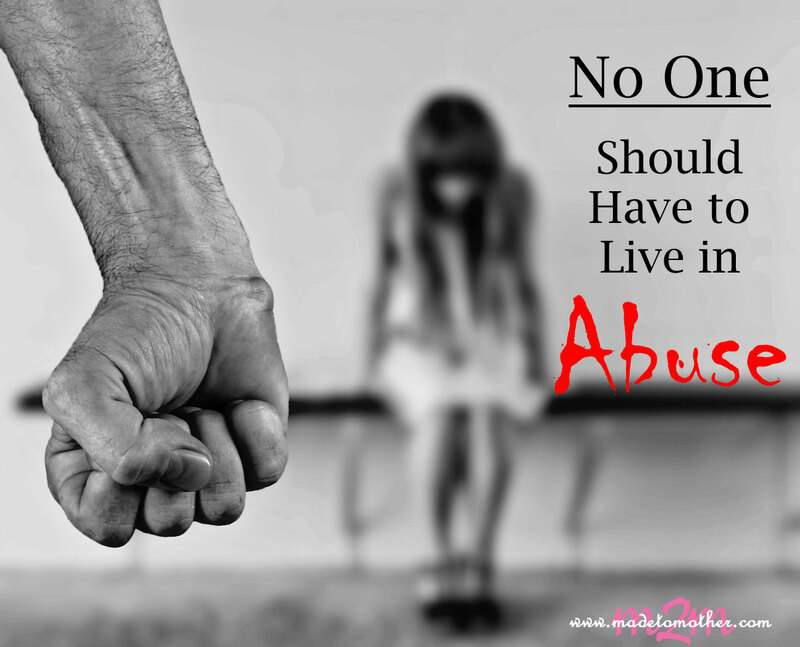 Abuse has no place in relationships; you deserve to spend your life with someone who loves you, not someone who controls, manipulates, and dominates you. If you’re in a relationship with someone who mistreats you, run. One in three women experiences a domestic violence relationship in their lifetimes, and abuse frequently worsens during pregnancy or after the child is born. I’m one of the lucky ones. I escaped. I have the most adorable, sweet, and kind little girl, and I don’t regret her, my miracle, one bit. If she had never been born, I’d have wasted my entire life with someone who could never really love me. Don’t wait for an abuser to change. Find someone who loves and deserves you. Before I met Alex, I thought of abuse as black eyes and hospitalizations, and that it didn’t happen in nice suburbs. I didn’t realize that charming, successful men with sweet, innocent faces can abuse. Now I know better. Domestic violence education became part of the school curriculum in my country last year, and I hope that my little girl’s generation will be the one to finally break the cycle, so that when she’s old enough to trust someone with her heart, she’ll live in a world where teenagers and adults are empowered by the knowledge of what domestic violence is, what their rights are, and that love equals respect. Domestic abuse is not just physical. It is defined as the repeated, cruel treatment of a person, and includes all forms of emotional, verbal, and religious mistreatment, even neglect. If you or someone you know needs help in keeping themselves or their family safe from any kind of abuse, please call 800-799-SAFE or visit the National Coalition of Domestic Violence.